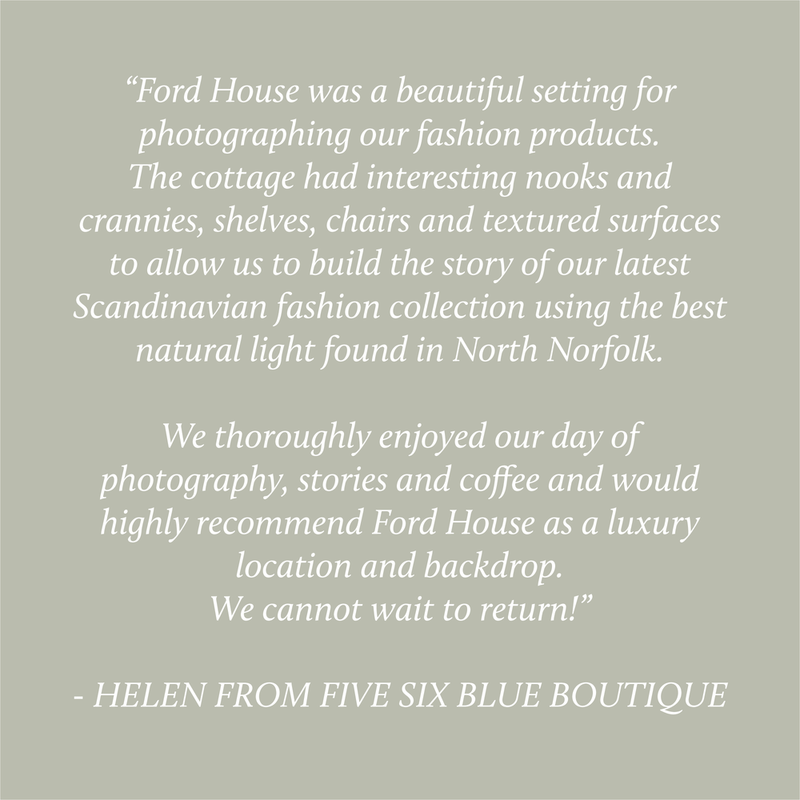 Why not use Ford House for styling your products or as a location shoot? We can arrange for the cottage to be yours for the day or for an overnight stay. We can cater for all of your styling and photographic needs. The 'country meets coastal style' cottage is perfectly located in the North Norfolk village of Docking, four miles from the coast and five miles from the pretty Georgian village of Burnham Market. The cottage is also available for product placement. Whatever your ideas may be, please contact us by completing the form below. Thank you for your enquiry, I will respond as soon as I can.